Deluxe Power Quick Trim allows you to trim and chamfer in a matter of seconds. 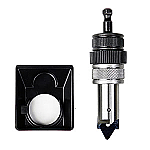 Hex shank snaps in to cordless screwdriver or drill (sold separately). 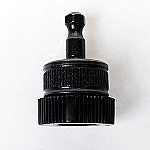 To complete your trimming setup, order cartridge specific pistol Quick Trim die or rifle Quick Trim die.